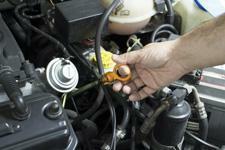 It seems so easy to find an auto repair mechanic that will service your vehicle when using any online search engine. But how can one be so sure about this, especially when you drive a newer European auto such as a BMW or Mercedes? To ensure that your fine automobile gets the service that it deserves it's imperative that you utilize a shop that specializes in repairing those particular types of vehicles. Many shops that claim they can repair your European car don't offer the same level of service that is awarded by shops that do in fact conduct proper Euro services. Those other shops will lack in the proper tools and training necessary to care for these cars. Here are four other reasons to bring your European vehicle to a European specialty repair shop. Not all cars are created equal. If you drive a fine European automobile there's a good chance that it has systems and services that just aren't found on other types of vehicles. By bringing your car to a European auto service specialist you can be positive that the technicians are aware of all of these different parts and how they work. The technicians ability to understand your automobile will ensure that it is quickly and correctly fixed, no matter what problem it is having. In newer vehicles even something that was once incredibly simple to complete, such as an oil change, has become increasingly difficult. By leaving your vehicle�s maintenance needs to a specialty shop you can be positive that these services will be completed correctly. Not all shops will have the correct parts on hand to ensure that anything that needs to be replaced is done so with the right materials, such as oil filters. It's amazing that some shops claim they can fix any problem on your vehicle no matter what you drive, especially when their shop is not up-to-date with the latest computer aided diagnostic and repair equipment. A specialty shop will continually upgrade their systems to ensure that they can service the newest vehicles on the road. This allows them to complete any services that are necessary and accurately repair any problems that comes about. One of the best things about bringing your car to a specialty shop is that there will be ASE certified technicians who learned to work on on cars just like yours. This saves you money as it often eliminates the need for guess work thanks to the technicians proven abilities. Don�t trust your vehicle to just anyone. Be sure it is serviced by a technician who knows their way around your vehicle. For superior European auto repair in Asheville head to The Organic Mechanic. We take great pride in our ability to complete European auto repair for vehicles such as BMW, Mercedes, Volkswagen, Land Rover and other cars and SUVs from the UK, Sweden, Germany and Italy. To learn more about our shop or to request European auto service in Asheville give our friendly crew a call at (828) 232-8120 today.